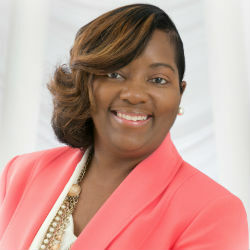 With 23 years in the healthcare industry, including one in her current role as ARNP-C at Agape Community Health Center, the American Health Council is proud to welcome Monica Johnson tas a “Leader in Nursing”, where she will be sharing her extensive knowledge and expertise in Primary Care and Behavioral/Community Health. Mrs. Johnson obtained her CNA, LPN, ADN, as well as her AA in Health Care Management from Florida Community College at Jacksonville. She then went on to complete her Bachelor of Science in Nursing at Jacksonville University, and her MS in Nursing with a Specialization in Adult Gerontology from Kaplan University. Mrs. Johnson is currently enrolled with the University of North Florida for her DNP/PMHNP, and is expected to graduate in Fall 2018. During the beginning stages of graduate school, Johnson developed a deep passion for bridging the gap between Primary Care and Mental Health. The foundation of her passion was implemented while working with the late Dr. Richard C. Christensen as a Provider with the I.M. Sulzbacher Center. This relationship and her background in community health led to a developed interest for patient education regarding the appropriate care to the undeserved, uninsured population to faciliate disease prevention. Becoming involved in her profession after being inspired by her mother, also a Registered Nurse, Mrs. Johnson has always lived by her motto of allowing the work that she does today to “speak for her even when she’s gone”. Being able to help improve the lives of those she serves within the community is her greatest reward. At Agape Community Health Center, day to day responsibilities for Mrs. Johnson include handling sick and well visits – treating patients with different comorbidity illnesses such as Hypertension, Hyperlipidemia and Diabetes. She also performs preventative health screening, behavioral health care, and case management for continuity of care. 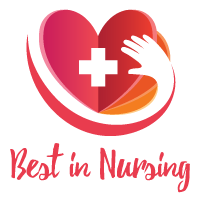 Mrs. Johnson is honored to have been presented with the 2015 HRSA Nursing Corps Award, and is professionally associated with the American Association of Nurse Practitioners. Having been married to her best friend, Ervin, for the past nineteen years, Mrs. Johnson also has an 18-year-old daughter and 15-year-old son who keep her very busy. She plans to continue her great work within her community, along with obtaining her DNP with a specialization in Psychiatric Nursing at the University of Florida. In her spare time, Mrs. Johnson enjoys volunteering for Household of Faith Church as a Health Ministry Leader, as well as decorating, cooking, spending time with family, and educating the community. Agape Community Health Center, Inc. is the only Section 330, Federally Qualified Health Center is Jacksonville, FL. They are committed to providing comprehensive medical, dental, pharmaceutical and behavioral health services for insured, uninsured, under-insured and medically under-served patients throughout the city. The mission of Agape Community Health Center, Inc. is to provide comprehensive healthcare services with compassion and love to the entire community. They strive to provide care that is unconditional, of high quality and readily accessible.